Deucoch Mirain has had a beautiful filly foal, albeit a bit late! 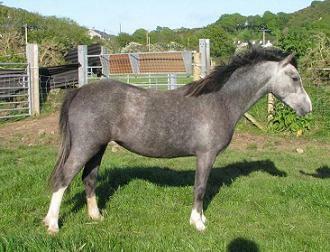 This is the first foal for both Mirain and Nerwyn Gawain and we are very pleased. 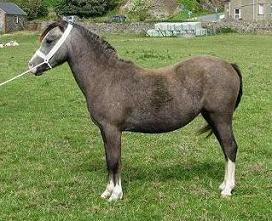 Liver chestnut to go go grey. blaze and 4 whites. Gwawr will be covered by Menai Motivation in 2010.